Moreover, the data unveils how the critical mass of society will pay in the next five years, shedding light on how the country’s payment infrastructure is set to evolve, with self-checkouts and tills falling heavily out of favour. The study revealed that 73 per cent of shoppers across the nation – the equivalent of 37.5 million people – have changed their mind and decided not to buy something after seeing the size of a shop’s queue. The nationally representative study by the retail app also revealed that ease of payment has become a make-or-break factor for retailers seeking to gain and maintain shoppers. 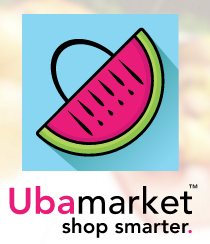 Ubamarket’s research found that retailers risk frustrating would-be customers by maintaining archaic payment methods – over 10 million of us (20 per cent) will consciously avoid shops, restaurants, newsagents, cafés or bars that only accept cash. Moreover, 32 per cent of Brits actually select online or high-street retailers based on how easy it is to pay for items. The nation’s frustration towards outdated in-store payments also extends to self-scan machines, with 48 per cent of UK shoppers frustrated by the current iteration of self-payment infrastructure in Britain’s retail outlets. In app payment is found to be a timely solution; 41 per cent of us – the equivalent of 21.1million people – expect that all payments will be processed via mobile devices in the future. According to the research, in app payment is already the preferred method for one fifth of all shoppers, rising to over a third of millennials. The omnibus sample size for the research was 2,004 UK adults. The sample is nationally representative of the UK adult population as the data is weighted to known UK nationally representative profiles for gender, age, region, working status and social grade, ensuring the sample is an accurate reflection of the UK population.